Since retiring as a Canuck player on June 11, 2008 – the 20th anniversary of his draft day – Trevor Linden has approached the business world with as much commitment and enthusiasm as he displayed as an athlete. 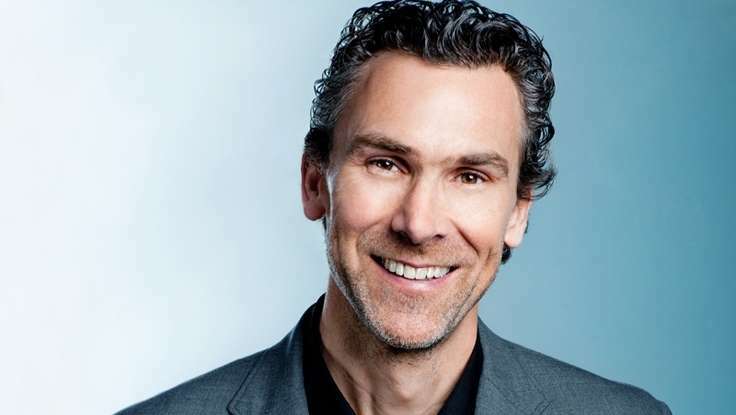 His post-playing career began with several real estate development projects and the launch of two fitness clubs: Club 16 Trevor Linden Fitness and Orange Theory Fitness. Then in April 2014, Trevor returned to hockey, becoming President of Hockey Operations for the Vancouver Canucks. Linden is responsible for all hockey operations, including the coaching and scouting staffs, player procurement and development, and minor league affiliations and operations. He also serves as Alternate Governor, NHL. Linden left the NHL after 19 seasons, having recorded 867 career points (375-492-867) in 1382 regular season games with the Canucks, Montreal Canadiens, New York Islanders and Washington Capitals. Throughout his career, Linden was a proven playoff performer. In 124 playoff games, he recorded 99 points (34-65-99) and 104 penalty minutes. Of his 124 playoff games, 118 came in a Canucks uniform, highlighted by his 25 points (12-13-25) in 24 games during the Canucks 1994 Stanley Cup run. Linden completed his NHL career among the all-time League leaders in a number of statistical categories. He ranks 38th in games played (1382), is tied for 107th in goals scored (375) and ranks 111th in points (867) scored in NHL history. After being drafted second overall by the Canucks in 1988, Linden enjoyed immediate success, finishing runner-up for the 1989 Calder Trophy and being named The Hockey News Rookie-of-the-Year. In his first eight NHL seasons, Linden recorded 30 or more goals six times. Linden went on to play parts of five seasons with the Canadiens, Islanders and Capitals before returning for six more years in a Canucks sweater after he was re-acquired in November of 2001. During his 19 seasons, Linden was a two-time NHL All-Star (1990.91, 1991.92) and represented Team Canada at the 1998 Winter Olympic Games in Nagano, Japan. When he retired, he was the Canucks all- time leader in games played (1140), assists (415) and was second in goals (318) and points (733). His 118 games, 34 goals, 61 assists and 95 points in the playoffs remain club records. Just as impressive as his on-ice accomplishments are his off-ice contributions. In his final NHL season, Linden was named the recipient of the NHL Foundation Player Award which is awarded annually to the NHL player “who applies the core values of hockey – commitment, perseverance and teamwork – to enrich the lives of people in his community”. In 1997, Linden was awarded the King Clancy Memorial Trophy which is given annually to the NHL player who best exemplifies leadership qualities on and off the ice and who has made a significant humanitarian contribution in his community. His on-going efforts to support children and families have seen him participate with organizations and important causes such as the Zajac Ranch, Canuck Place, BC Children’s Hospital, the Ronald McDonald house, the Canadian Cancer Society, the BC SportsCelebrities Festival, the Michael Cuccione Foundation’s Skate for a Cure and the Terry Fox Family’s fundraiser. Through his foundation, the Trevor Linden Foundation, he has granted more than $650,000 to Canadian Cancer Society’s Camp Goodtimes, a camp for children and their families living with cancer located in Mission, BC. These funds were used to construct a gymnasium that was named in his honour.